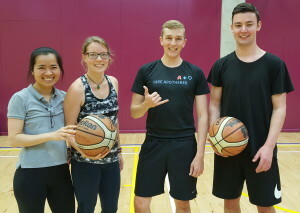 Hannah, Sarah, Christoph and Sebastian were part of the postgrad team on the Dean’s Cup against the staff. I heard it was a tough game and the staff (thanks to Natalie Medlicott) came out the victors. I won’t quote the score here!